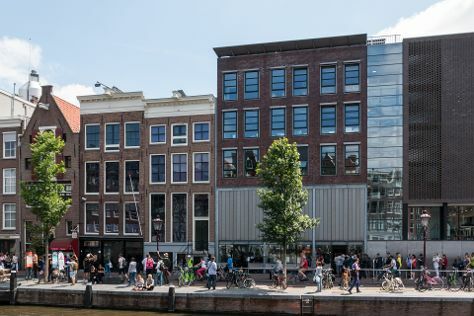 Popular historic sites such as Anne Frank House and De Duif are in your itinerary. Do some cultural sightseeing at Rijksmuseum and Van Gogh Museum. Change things up with these side-trips from Amsterdam: Grote Markt (in Haarlem) and The Mauritshuis Royal Picture Gallery (in The Hague). There's lots more to do: meet the residents at ARTIS, admire the masterpieces at Museum Het Rembrandthuis (Rembrandt House), and appreciate the extensive heritage of Begijnhof. For other places to visit, ratings, reviews, and tourist information, read Amsterdam trip planner . Dallas, USA to Amsterdam is an approximately 14.5-hour flight. You can also do a combination of bus and flight. The time zone changes from Central Standard Time to Central European Time, which is usually a 7 hour difference. When traveling from Dallas in May, plan for colder days in Amsterdam, with highs around 63°F, while nights are little chillier with lows around 48°F. Wrap up your sightseeing on the 10th (Thu) early enough to take a train to Brussels. Kick off your visit on the 11th (Fri): contemplate in the serene atmosphere at St. Michael and St. Gudula Cathedral (Cathedrale St-Michel et Ste-Gudule), make a trip to Grand Place, then see the interesting displays at MIM - Musical Instruments Museum, and finally examine the collection at Atomium. Here are some ideas for day two: steep yourself in history at Serres Royales De Laeken, examine the collection at Royal Museums of Fine Arts of Belgium, and then examine the collection at Horta Museum (Musee Horta). To see other places to visit, where to stay, traveler tips, and other tourist information, read our Brussels trip itinerary builder . You can take a train from Amsterdam to Brussels in 2 hours. Alternatively, you can drive; or fly. Expect a daytime high around 62°F in May, and nighttime lows around 45°F. Wrap up your sightseeing on the 13th (Sun) to allow time to take a train to Paris. Start off your visit on the 13th (Sun): explore the world behind art at Louvre Museum and then take in the architecture and atmosphere at Cathédrale Notre-Dame de Paris. Keep things going the next day: admire the landmark architecture of Sainte-Chapelle, then admire the landmark architecture of Basilica du Sacre-Coeur de Montmartre, then pause for some photo ops at Arc de Triomphe, and finally enjoy breathtaking views from Eiffel Tower. To see more things to do, maps, where to stay, and tourist information, read our Paris tour builder website . You can take a train from Brussels to Paris in 1.5 hours. Other options are to fly; or drive. 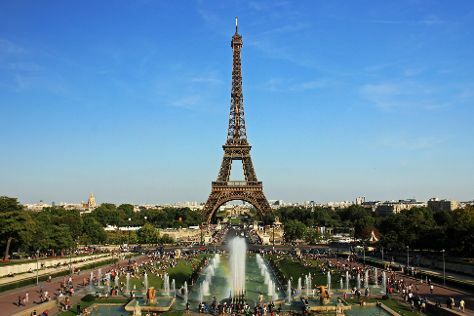 In May in Paris, expect temperatures between 64°F during the day and 49°F at night. On the 15th (Tue), wrap the sightseeing up by early afternoon so you can travel to Lisbon. Start off your visit on the 16th (Wed): take in the spiritual surroundings of Jeronimos Monastery, then take a memorable tour with Lisbon by Boat, then take a stroll through Belém Tower, and finally explore the historical opulence of Castelo de S. Jorge. To see photos, where to stay, reviews, and more tourist information, go to the Lisbon trip itinerary website . Traveling by combination of train, bus, and flight from Paris to Lisbon takes 5.5 hours. Alternatively, you can do a combination of shuttle and flight; or drive. Traveling from Paris to Lisbon, you'll gain 1 hour due to the time zone difference. In May, Lisbon is somewhat warmer than Paris - with highs of 75°F and lows of 55°F. Finish your sightseeing early on the 17th (Thu) so you can travel to Barcelona. On the 17th (Thu), appreciate the extensive heritage of El Barri Gòtic. For reviews, where to stay, more things to do, and tourist information, read Barcelona trip planning website . You can fly from Lisbon to Barcelona in 5 hours. Other options are to do a combination of bus and train; or drive. The time zone difference when traveling from Lisbon to Barcelona is 1 hour. May in Barcelona sees daily highs of 71°F and lows of 57°F at night. Finish your sightseeing early on the 19th (Sat) so you can travel to Krakow. On the 19th (Sat), appreciate the extensive heritage of Main Market Square and then contemplate in the serene atmosphere at Franciscan Church (Kosciol Franciszkanow). To find where to stay, more things to do, reviews, and tourist information, you can read our Krakow tour itinerary planner . Fly from Barcelona to Krakow in 6 hours. Alternatively, you can do a combination of flight and bus; or drive. Traveling from Barcelona in May, expect Krakow to be a bit cooler, temps between 66°F and 47°F. Cap off your sightseeing on the 21st (Mon) early enough to travel to Prague. Kick off your visit on the 21st (Mon): get to know the fascinating history of Prague Castle. Get ready for a full day of sightseeing on the next day: steep yourself in history at Prague Astronomical Clock, then take in the spiritual surroundings of St. Vitus Cathedral, then get engrossed in the history at Jewish Museum in Prague, and finally snap pictures at Charles Bridge. To see ratings, traveler tips, reviews, and tourist information, go to the Prague trip planner. You can fly from Krakow to Prague in 4.5 hours. Other options are to drive; or do a combination of bus and flight. In May, daily temperatures in Prague can reach 64°F, while at night they dip to 48°F. Wrap up your sightseeing by early afternoon on the 23rd (Wed) to allow enough time to travel to Budapest. On the 24th (Thu), contemplate in the serene atmosphere at Matthias Church, don't miss a visit to Fisherman's Bastion, then explore the historical opulence of Buda Castle, and finally contemplate the long history of Liberty Statue. On your second day here, step into the grandiose world of Vajdahunyad Castle (Vajdahunyadvar), then see the interesting displays at House of Terror Museum, then take in the spiritual surroundings of Dohány Street Synagogue, and finally take in the spiritual surroundings of St. Stephen's Basilica (Szent Istvan Bazilika). For maps, other places to visit, photos, and more tourist information, read our Budapest trip planner. Getting from Prague to Budapest by flight takes about 5 hours. Other options: drive; or take a bus. When traveling from Prague in May, plan for somewhat warmer days in Budapest, with highs around 71°F, while nights are about the same with lows around 50°F. Finish your sightseeing early on the 26th (Sat) so you can travel to Venice. Popular historic sites such as Doge's Palace and Peggy Guggenheim Collection are in your itinerary. Your cultural itinerary includes sights like Basilica di San Marco and San Giorgio Maggiore. You'll find plenty of places to visit near Venice: Padua (Scrovegni Chapel & Basilica di Sant’Antonio). The adventure continues: contemplate the waterfront views at Canal Grande, take in the views from Ponte dei Sospiri, make a trip to St. Mark's Square, and enjoy breathtaking views from St Mark's Campanile. To find ratings, traveler tips, where to stay, and more tourist information, read Venice trip builder . Traveling by flight from Budapest to Venice takes 5 hours. Alternatively, you can drive; or take a shuttle. In May, plan for daily highs up to 72°F, and evening lows to 55°F. Finish your sightseeing early on the 29th (Tue) to allow enough time to take a train to Florence. Cathedral of Santa Maria del Fiore and Pitti Palace are good opportunities to explore the local culture. Deepen your sense of the past at sights like The Baptistery of St. John and Campanile di Giotto. The adventure continues: explore the world behind art at Uffizi Galleries, get engrossed in the history at Basilica di Santa Croce, see the interesting displays at Galleria dell'Accademia, and appreciate the extensive heritage of Piazza del Duomo. To see other places to visit, ratings, photos, and other tourist information, use the Florence vacation planner . Traveling by train from Venice to Florence takes 2.5 hours. Alternatively, you can drive; or take a bus. In May, daily temperatures in Florence can reach 71°F, while at night they dip to 52°F. Wrap up your sightseeing on the 1st (Fri) early enough to take a train to Rome. Take a break from the city and head to Catacombe di San Callisto and Passeggiata di Gianicolo. Do some cultural sightseeing at St. Peter's Basilica and Pantheon. Change things up with a short trip to Villa Adriana in Tivoli (about 38 minutes away). Next up on the itinerary: steep yourself in history at Colosseum, take in the architecture and atmosphere at Santa Maria in Trastevere, admire the masterpieces at Galleria Borghese, and don't miss a visit to Roman Forum. To find where to stay, more things to do, ratings, and tourist information, read our Rome trip website . You can take a train from Florence to Rome in 1.5 hours. Other options are to drive; or fly. In June, daily temperatures in Rome can reach 84°F, while at night they dip to 65°F. Finish your sightseeing early on the 5th (Tue) to allow enough time to travel back home.